Have you ever been frustrated when a beloved feature was taken away in an update? Or felt helpless to prevent the apps on your phone from oversharing your personal data with advertisers? Or had to pay through the nose for proprietary cartridges of ink or 3D printing material? Or found that your independent repair shop wasn’t allowed to fix your car or appliance? If so, then you've experienced a small—but accumulating—frustration of losing of control over your stuff. People entrust their health, safety, and privacy to such devices every day, as with medical implants, vehicles, or devices with microphones you keep in your pocket or cameras in smart TVs aimed at your living room. There are good reasons to outsource decisions about your devices' software to knowledgeable, trustworthy sources, but you should always have the ultimate say in who deserves your trust. Section 1201 was enacted to combat copyright infringement of digital works by making it unlawful to circumvent access controls on those works (such as the encryption on a DVD). Because of the broad definition of a copyrighted work, however, Section 1201 potentially implicates the software in your car, pacemaker, phone, television, or other digital device. Federal appeals courts are split on whether fair use even applies to protect acts of circumvention that are necessary to make fair uses of the underlying work. Meanwhile, copies of software are often being "sold" subject to restrictive licensing terms that purport to transform the "sale" into something less: a mere license to use the software in specific ways authorized by the vendor. Go beyond the permitted uses enumerated in a non-negotiated "End User License Agreement," and not only do vendors sue for breach of contract, they argue that you become a copyright infringer. When courts credit this argument—which they occasionally have done—vendors are able to rewrite the aspects of copyright law they find inconvenient, such as fair use rights to create derivative works or to learn from the software via reverse engineering. Both Section 1201 and non-negotiable form licenses have something in common: they threaten to replace the "grand bargain" of copyright law with a one-sided system of restrictions lacking the necessary protections for free speech, competition, innovation, or the autonomy of device owners. The law is still evolving with respect to Section 1201 and the enforceability of abusive license "agreements," both in the courts and in Congress. Senators Grassley and Leahy have tasked the Copyright Office with collecting public input on how copyright law should interacting with "software-enabled consumer products." The Copyright Office inquiry is broken up into a Section-1201-specific inquiry and another inquiry covering issues such as one-sided contracts, the resale of digital copies of copyrighted works, fair use, and the question of when software should be considered copyrightable in the first place. 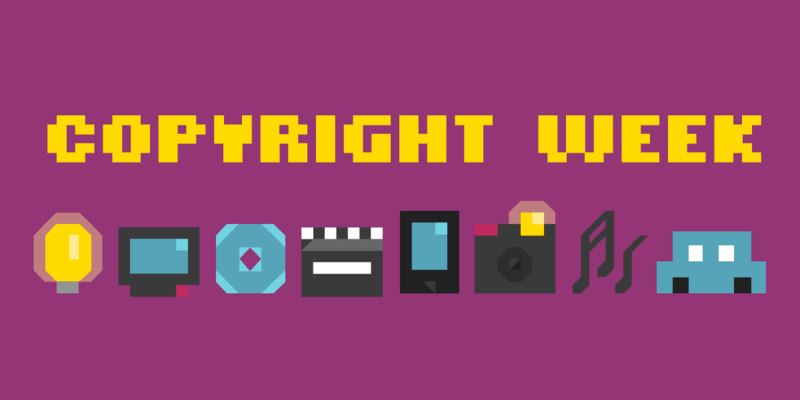 We look forward to weighing in on these issues and explaining to the Copyright Office and to Congress that copyright can only serve its goals of promoting speech and innovation if it includes robust protections for all of us to make use of and build upon the software and other creative works that permeate our lives.